Using social media is now a staple in any brand’s marketing strategy. However, not every brand implements their strategy as effectively as others. This is usually because a single department or individual undermines things, resulting in the whole brand’s image on social media turning into a shambles. 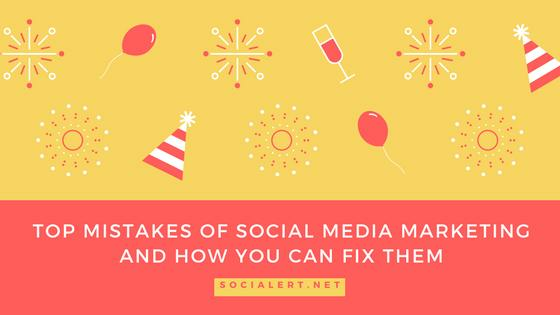 This is why it's critical that everyone involved in social media marketing knows the mistakes that can be made and how they can avoid making them. Implementing your core values into the content you publish on social media platforms will make your brand appear more human. This is why a brand’s social media marketing strategy should include weekly publishing of cause-related content. Scheduling to post on certain days such as awareness days is a good option. You can keep away from political views if you wish but some brands are crossing those boundaries nowadays too. #12. TRYING TO USE EVERY SINGLE PLATFORM TO PROMOTE YOUR BRAND. Using formal language can make consumers feel like they’re talking to a robot.This can hurt a brand’s image from being friendly to money-minded and snobbish. Make sure to use informal language because as mentioned before, consumers like to feel like they’re communicating with real people that can understand them so feel free to communicate in a way that is easier to understand without getting carried away. It’s been proven that brands which use emojis in their social media posts garner more attention from the public and are more favored. An example of this is Domino’s which made it possible to order their pizza by using the pizza emoji. What other social media mistakes you have faced? Share with us and if they are interesting we will add them to our list.